Our 2019 Lenten Adult Group Study program is about to begin! We'll be doing a six week study using the video series, Lectio: Prayer, featuring Dr. Tim Gray. During the study, we will learn the Lectio Divina approach of Reading, Reflecting, Responding, and Contemplating. Our study group will meet on Sundays from 10:15—11:30 am beginning March 10th. Study sessions are held in the Family Life Center Library, Sundays from 10:15-11:30 am. 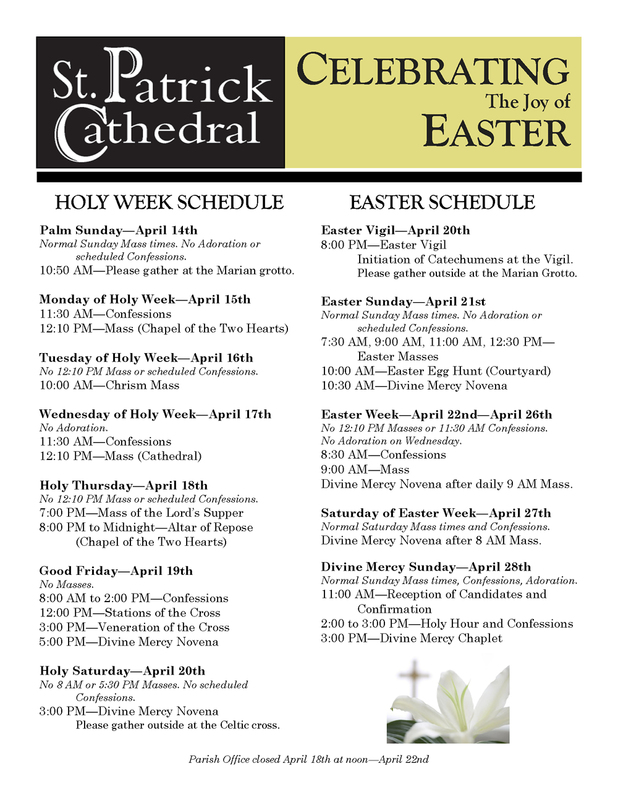 To register, you may either pick up a paper form in the Cathedral or fill out the simple online form below. The registration fee is $5/person. If you register online, you will receive instructions on how to make an online payment. If you choose to pay via check, please make checks payable to "The Cathedral of Saint Patrick" and put "AFF Study" in the memo. Checks can be dropped off at the parish office Monday through Friday, 9 am - 5 pm. The deadline to register is Sunday, March 3rd. Thank you!